Out of this developed his strong nostalgic feelings “towards a reality which I didn’t necessarily take part in, but which lingered on in the people and settings around me. 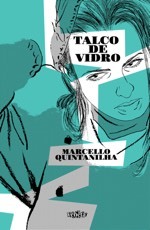 My stories are totally invented, although they could have happened exactly on the very same terms.” At the age of 16 he began illustrating martial arts and horror comics and, after a spell working in animation, he crafted Fealdade de Fabiano Gorila (‘Ugliness of Fabiano Gorilla’), his first solo graphic novel in 1999. Told in the style of Italian neo-realist cinema, it is based on a 1950s incident during his father’s career playing for the club Canto do Rio. More than painting, photojournalism is a continuing infuence on Quintanilha, having spent hours as a boy looking at newspaper photos of footballers “capturing the moment, creating nearly impossible representations of the human figure”, which served as his drawing lessons in anatomy and movement. Later, Brazilian photographers Chico Albuquerque (1917-2000) and Evandro Teixeira (b. 1935) also inspired him to incorporate their distinct iconography, all but ignored in other nationally produced comics. 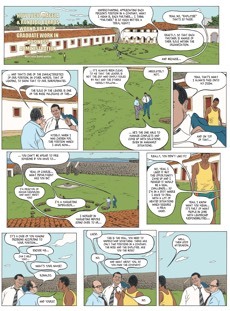 Despite moving to Barcelona in 2002 to illustrate the seven-volume Franco-Belgian bande dessinée thriller Septs balles pour Oxford, Quintanilha does not “feel even 10 centimetres away from Brazil.” In the graphic fictions he writes and draws himself, he continues the Brazilian crônica or ‘chronicle’, a narrative tradition dating back to the birth of the press, which springs from a real event and intensifies it with a fictional or sometimes journalistic dimension. 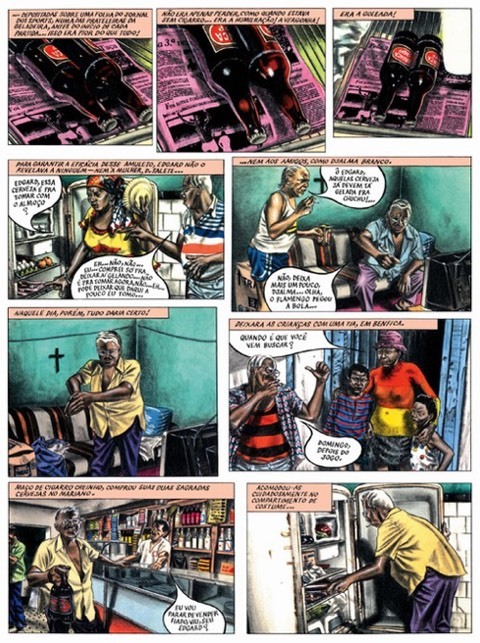 This spirit brims over in his pithy, prize-winning short stories compiled in Sábado dos meus amores (2009), and in Tungstênio, his 2014 graphic novel which ensnares a dealer, a retired army officer, a cop and his wife in Bahia in an escalating nightmare. 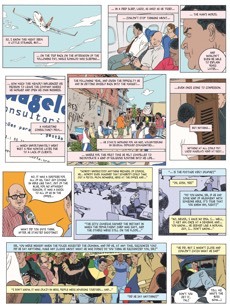 It’s evident too in his new Strip for ArtReview magazine, ‘How Lucio Magela & Ronaldo Barros Wound Up Their Graduate Work In Business Administration’ (see below), in which he targets “the image and language of the corporate world and its excessive devotion to the idea of leadership”. Radically, Quintanilha’s comics stand outside the norm for ignoring any orderly overall page layout or meta-panel. 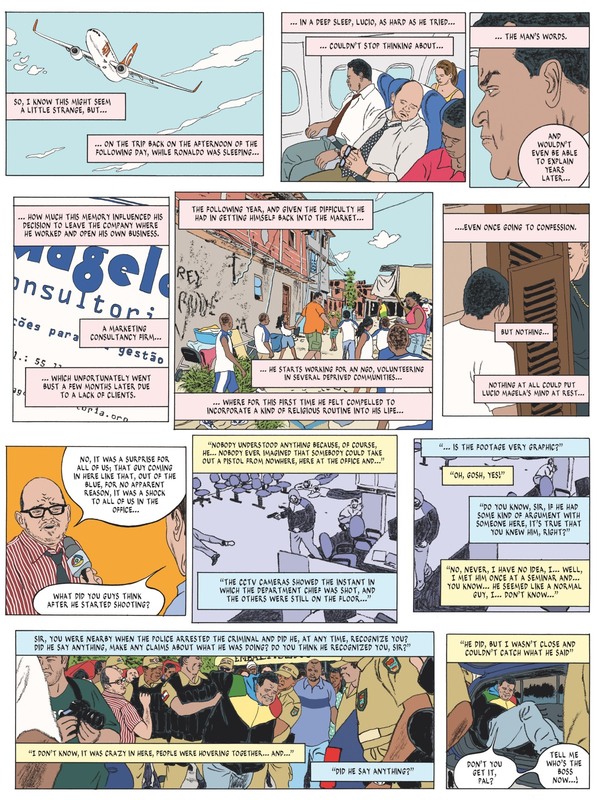 Instead, he presents panels singly, loosely, ungridded, “to remove any notion of the whole page’s narrative unity, and to reduce that role to the panel itself, eliminating the idea that they are parts of a larger image.” Perhaps in this way, while arranging them narratively, Quintanilha comes closer to presenting his panels as “little paintings”, each page like a gallery wall. What are the themes, inspirations and ambitions for your new 2-page comic for ArtReview? This new story is a satire about the image of the corporate world and its so characteristic nomenclature, as well as the excessive devotion to the idea of leadership, which, in many ways, can really subvert the way some people tend to comprehend life and sets themselves towards adversity. Please describe for me your studio space and a typical working day for you? A drawing board next to the table where the computer is. Very bright and loud loud music playing all day. I never follow a routine work, in the sense that I do not have a fixed time to work, but a certain number of hours that can start earlier or later depending on the day’s conditions. I am not attached to any working method in particular and for every story I experiment with a different method. So, no matter if I start by writing a script or by drawing a series of pages without even having a pre-defined text. There is no kind of rule. I can write scripts around a previous illustration or effectively write a whole story and only then start to draw it. There is no rule. What was your family background like? Can you paint me a picture of your bedroom as a child? I come from a working-class family and grew up in a decaying working-class neighborhood, called Barreto, in the city of Niterói. I am the son of a former football player and a schoolteacher. My surroundings were the typical routine of families coming from small fishermen and small traders. How did you learn to draw and who were your role models the comics artists? I have been drawing since I can remember and I find it hard to explain how mesmerised I used to be by the drawings that printed newspapers brought, this being my first contact with the language of comics. My main inclination was to design situations that could be stretched into more than one image. From there - and as I grew older - I kep constantly breaking new ground in that language. John Buscema was my first big reference. Then, Garcia-Lopez, Pratt, Boucq, Gulacy, Jacobs and a huge range of artists that will be forever part of my sacred pantheon. When and how did you break into comics in Brazil itself on horror comics? Is there much of comics market to break into there, in fact? I began to publish in the former Bloch publisher, in Rio de Janeiro in 1988, at age 16, after showing my portfolio to the editor in charge who immediately opened a draw and gave me a script for me to draw. Their publishing lines were martial arts and horror stories. For many years the horror genre had important issues in the Brazilian comics market, under the EC comics influence, andwere responsible for the professional training of numerous artists. 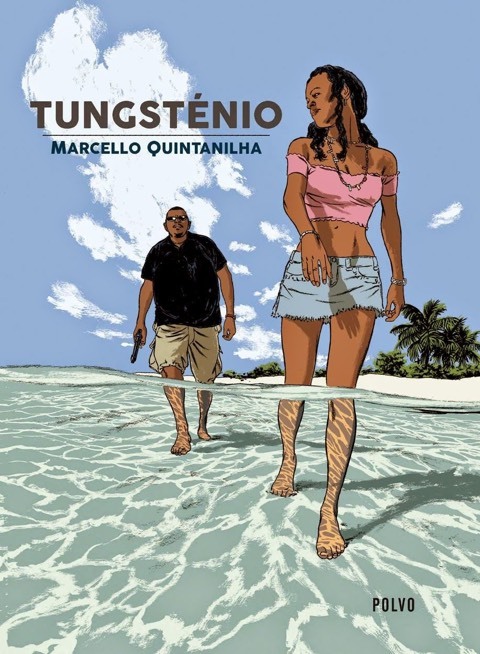 Today, Brazilian genre comic books no longer exist, unfortunately, although the current scenario presents an immense multiplication of titles, either by independents or by the initiative of some publishers who are releasing new material with some regularity. Supporting this market, however, is still going through a long process to expand the section of the public interested in comics. What were the pleasures and the frustrations of working in animation? I had very few frustrations working with animation. Being a craft that came into my life quite unexpectedly, I think I was able to enjoy it at its best, that is, teamwork; openness to new ways of representing the same action; and, above all, the possibility to understand movement in every detail. I think I was only able to work in animation precisely because I came from the comics universe. I realise one very successful Brazilian artist in France is Leo with his realistic science fiction series Aldebaran, Betelgeuse etc. Was he an influence on you - and maybe inspiration for you to try the Francophone comics market yourself? No, Leo was never a reference for me, although his work is heir of a classical narrative tradition that I find very interesting and, not surprisingly, much appreciated in francophone Europe. 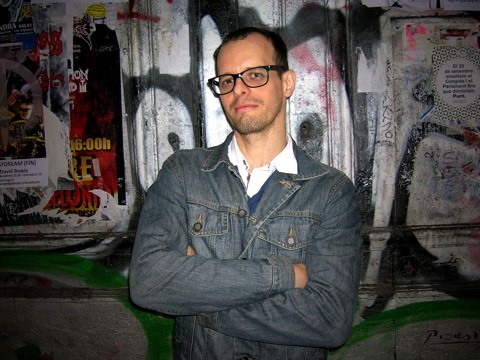 How did the Spanish writers Jorge Zentner and Montecarlo introduce you to your Belgian publishers Lombard? 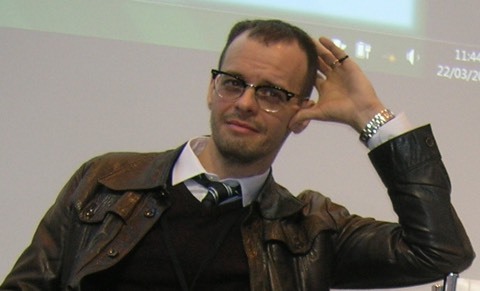 In 1998 or 1999, I attended to a comics convention in Belo Horizonte, in which François Boucq was also present. Boucq has always been one of my most striking influences and having the opportunity to meet him in person was, for me, a unique event. He said he would like to show my stuff to his publisher at the time - Casterman - and so he did. After some time, Casterman put me in touch with Jorge Zentner. We started working on the project of Sept balles pour Oxford, a series of seven albums about a 75-year old English detective named Oxford. But we didn’t reach a satisfactory conclusion about it with Casterman, so it turned out to be published by Lombard, where Jorge sent the proposal later. How did this series come about Oxford and in what ways did this character and series appeal to you? Both myself and Jorge had a great connection to the characters, which Montecarlo also could adapt himself. The main character’s personality was based on Jorge’s father, while his physical appearance took my maternal grandfather as a basis. And the humanity present in those characters was what most interested me. Did you have to the lots of research for the locations? Yes, but that does not mean extra work, since that I’m daily interested in seeking references. Both Tungstênio and Talco de Vidro, my most recent works, have absolutely true locations in time and space; but I can also use the references as a basis to create fictional scenarios, which is a procedure that I find very interesting. I can also draw directly from a photography, if I’m interested in using a location for a documentary purpose. 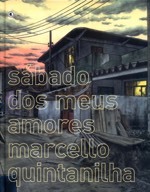 Where did the short stories in Sabado originally get published in Brazil? Culture or news magazines. Most of them, however, were first published directly on the album. You convey a very tangible, lived-in reality, an authenticity in your tales - how did you achieve this - how much is observation, how much of it fiction? Growing up in Barreto in the ‘70s and the ‘80s meant I was in permanent contact with a number of things and values in full decay. Shops and factories shuttiing their doors, old soccer fields being closed, workers’ villages being disfigured or directly abandoned, local festivities emptying up year after year; all of things which before rhad epresented a past that was more alive, more promising and possibly happier, seemed to be saying goodbye every day. I think because of that, I developed a strong nostalgic feeling towards a reality which I don’t necessarily take part in, but which no doubt still lingered in the people and things around me. So, my stories are totally invented, although they could have happened exactly on the very same terms in that kind of universe. Having lived most of my life in that kind of environment, I could watch (and live) many situations similar to the ones I showed in the stories. Do you draw from life? Do you draw from photographs? Referring specially to the characters, I do not work from photos, but I usually take them as a start for creating many characters even from newspaper pictures, books, personal archives or so. Then I always work to construct and develop them by myself, so I am free to represent them as required by the story. Photojournalism is indeed a great inspiration. Much more than painting for example. The way an image is captured in a photographic instant. As a kid, I remember spending hours and hours looking at the football photographs published by newspapers at that time. It was the way an image was removed from its universe at a precise moment that mesmerised me (I think this is the best term for it); because in this particular case, we undress human beings of any aesthetic intention in order to capture the moment, creating nearly impossible representations of the human figure. In a way, the foundations of my anatomical knowledge and my understanding of the dynamics of movement come precisely from that. The photography of Chico Albuquerque and Evandro Teixeira inspired me a lot, to incorporate an iconography practically ignored by the Brazilian producer of comics. I realise we ought to have met at the Rio Comics Biennale in 1991 when I visited for the first team and you won a prize. Which prize was this and for what work? What effect did it have on you this? It was one of the most important moments of my life as an author. At that time the publishing world in Brazil was seriously affected by an extremely unfavourable economic and political contingency and it was the beginning of a reduction in the number of publications (strongly driven in the 80s) and that would last throughout the 90s. For a long time conventions and exhibitions were almost the only way for young artists to show their publications - up to the point where it became “almost” a market itself - and I was one of them. That was when I was first able to expose my proposal as an author, getting the prize for best story in the competitive exhibition. What made you decide to leave Rio and relocate in Barcelona? I already knew the city of Barcelona and felt truly comfortable circulating there. In 2002, when I signed with Le Lombard for the production of Sept Balles pour Oxford, I found the opportunity to live here for some time, and it’s been 13 years now ... Obviously nobody told me the years would pass faster in this side of the ocean. How close to you feel to Brazil having left? Are you still a Carioca? I was never a “carioca” because I was born and raised in Niterói, a neighboring located across the Guanabara Bay, just across from Rio. Only people who were born in the city of Rio de Janeiro are called “carioca”. In my case, I am “niteroiense”, which is obviously more cool. And no, in fact I do not feel even 10 centimetres away from Brazil and every time I go back there, it is as if I have never left. The fact of being out of Brazil does not influence my way of making comics. My purposes and motivations remain the same and the universe in which I work as an author, so far, refers exclusively to the life I know from Brazil. What do you think of the massive changes and challenges in present-day Brazil, now that it has become a new economic super power over the past two decades or so? This is a head that has many many faces to it, and the fact that Brazil is an economic power is not exactly a novelty, since we always oscillate on the same axis in different historical moments. I believe that one of the main features of the current situation is the emergence of themes historically placed outside of the political debate and that now demand attention from society. This society will gradually become aware of the importance of their role in the political process, which had been seriously compromised since last dictatorship. From an economic point of view, the country failed to take advantage of a very favourable moment, from which we could have initiated a substantial reorganization process in terms of infrastructure. 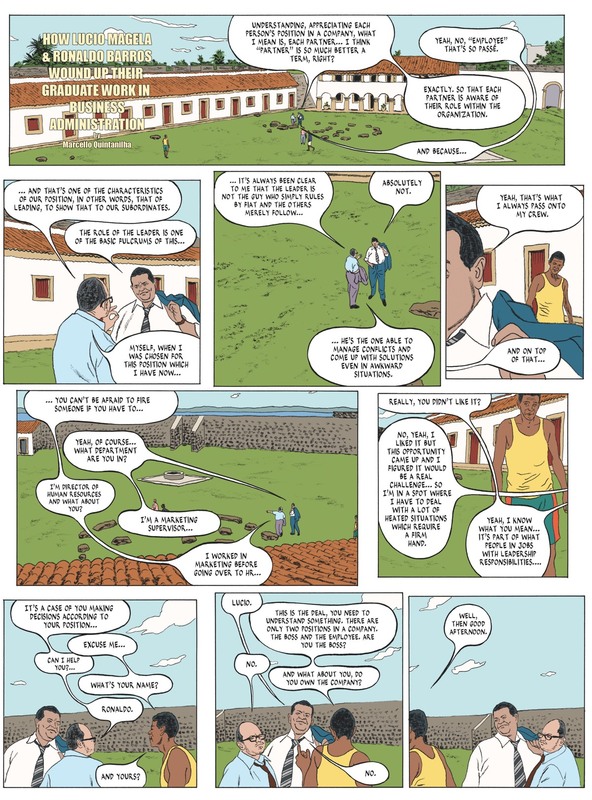 Carlos Baptista in his review in 1001 Comics writes that your pieces in Sabado come from the Brazilian tradition of the cronica or ‘chronicle’. How do you see your comics in that tradition? The Brazilian chronicle tradition dates back to the birth of the press in Brazil, brilliantly represented by names like Machado de Assis or Lima Barreto and, more recently, Nelson Rodrigues or Rubem Braga. The Brazilian chronicle is a strong component of my approach, especially if we take into account the fact that it became known for presenting a short story taking as its starting point a real event, acquiring a fictional dimension, or, sometimes, a journalistic nature. 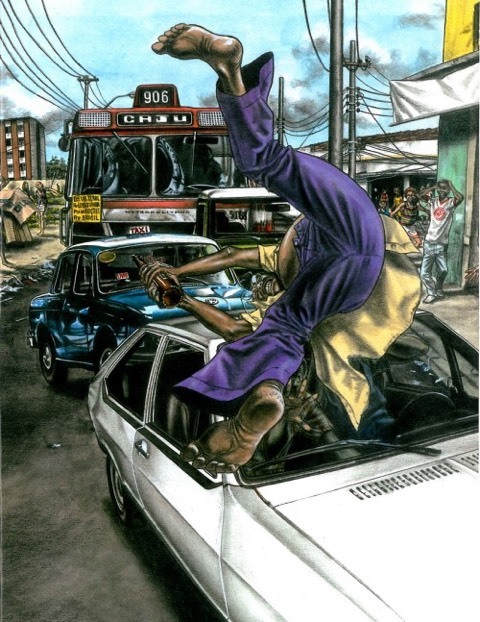 Your comics have a strong social realism to them - what appeals to you about this grittiness and humanity? I never work from observation of social reality, because it implies an inevitable distance between the observer and what is observed. And I do not work from the distance. I think the best way to define my way of writing is through the idea that my stories are what I am. It also includes my desire to translate a series of feelings and concerns to the form of comics, through characters that embody certain topics which, to me, are relevant. The story “Le Dos” (Mes chores samedis) is the biggest example of this, for bringing to the front the discussion about the inherent right of human beings to dispose of their life in their own way, even if it means ruining it. I am puzzled by the way you make the irregular panels and grids of the pages in your two recent books irregular - is this because the panels are made of separate artworks and only later compiled on the page? No, this is not the reason. I do not share the opinion - widely held - that overemphasises page structure, to the point of establishing balances between pictures or a supposed “author’s ability to make the reader’s gaze travel over the whole space of the page”. From my point of view these arguments are largely moot, in the sense that - and I know that I am entering a minefield - anyone is able to understand the nuances of the narrative pace regardless of how it is expressed on the page. The myth that surrounds the page structure derives from its prerogative as media; that is, comics come to us mainly through pages; the page is also a currency and through pages we can calculate payment rates and copyright. These are factors that contribute enormously to the idea of mystification of the page. Which bring us to interesting proposals but that do not necessarily add real narrative value. My purpose presenting the panels “loosely” on the page is precisely to take from it the premise of narrative unity, reducing the role of the panel itself in this, and eliminating the idea that they make up a predetermined structure or are parts of a larger image, so that the narrative flow is imposed by itself, regardless of the media on which it stands. I have not seen your second collection Almas Publicas (‘Public Souls’) from 2011 - can you tell me more about these short stories? They follow the same pattern as Sabados“, with stories that take place in different times, from the early twentieth century to the present. 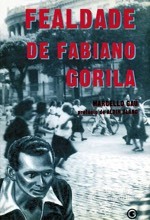 This collection also includes the story Fealdade de Fabiano Gorila (something like ‘Ugliness of Fabiano Gorilla’), based on something that happened to my father while still a footballer in the 1950s. 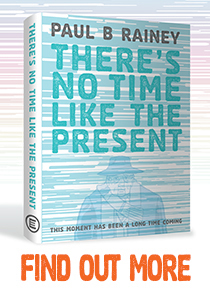 It is quite a leap to go from short stories to a full length 180-page graphic novel - how did you prepare this project and develop your scenario and style chosen for it? In a very natural way. I really had not anticipated the number of pages and the process effectively comes from the fact that the characters take over the reins of story and are really responsible for defining how the story should be told. I was simply drawing the pages, one after the other, without a previous script, although I had a pretty clear idea of what would happen. Why did you choose Tungstenio (‘Tungsten’) as your title? Tungsten, in this case is a metaphor on how the characters are able to handle the hardness of the metal imposed by day-by-day situations, to the point when he has to break it. Which film directors or authors inspire your work and why? The cinema shows the strength and the ability of some directors to work with a historically fragmented production in a language and composition that support an absolutely personal point of view. Fascinating! Directors like Vittorio de Sica, Roberto Rossellini, Orson Welles, Pasolini, Tony Richardson, Jean Renoir, Frank Capra, Berlanga, Sganzerla, Mizoguchi, Clouzot, etc. The worlds shown in their films are an inseparable component of my work. Many of my stories are structured around the idea of reconstructing the atmosphere of many of these films. Fealdade de Fabiano Gorila is one of the best examples of this, in relation to Italian neo-realist cinema. Reviewers of Tungstenio mentioned the influence of manga on your layouts and pacing - is this true? If so, who are the Japanese artists whose work has influenced you and how has it done so? My comic influences comes from many sources and I am in love with the language of comics as a whole. The influence of Japanese comics is very present, both rhythmic and aesthetically. Koike and Kojima, Maruo or Tatsumi. Although through time we became accustomed to understanding “influence” as a mimesis of someone’s process, when I understand influences, they are something much more deep then that. This Article originally appeared in ArtReview magazine.